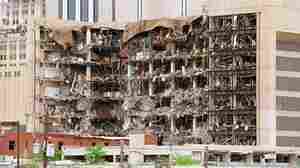 April 16, 2013  The Oklahoma City bombing, the Columbine school shootings and the Chernobyl nuclear disaster are among the infamous and sometimes horrific moments that have occurred during the month of April. April 8, 2013  One critic said it was a travesty that Congress had not acted three years after the worst mine disaster in this country in 40 years. 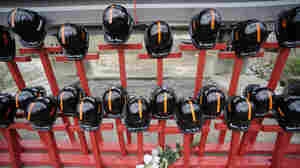 March 29, 2012  The plea from the former superintendent of the Upper Big Branch coal mine in West Virginia is a key step in the effort to seek criminal charges further up the corporate ladder at Massey Energy. March 27, 2012  The agency argued the operator's intentional evasion of the law was to blame for the mine blast. 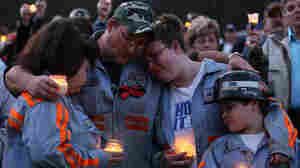 March 6, 2012  But it said its failures did not directly contribute to the blast, which killed 29 coal miners in 2010. February 29, 2012  Hughie Stover was convicted in October of lying to investigators and attempting to destroy evidence during the federal criminal investigation into the Upper Big Branch mine explosion, the nation's worst mine disaster in 40 years. February 13, 2012  The members of the team spent 20 months away from their homes before releasing a final report in December. But the tour of the White House will be self-guided.